Introducing M86 V2, A double trigger version of my M86 frames using one of the best triggers available. Tapped for Sleeper LPR mount Capability. The frame will be tapped 1/8NPT on the bottom but. You will have to modify the MSV-2 & its mounting plate. It will not come modified. Frame accepts 2X E-mag trigger magnets above the forward trigger stop. 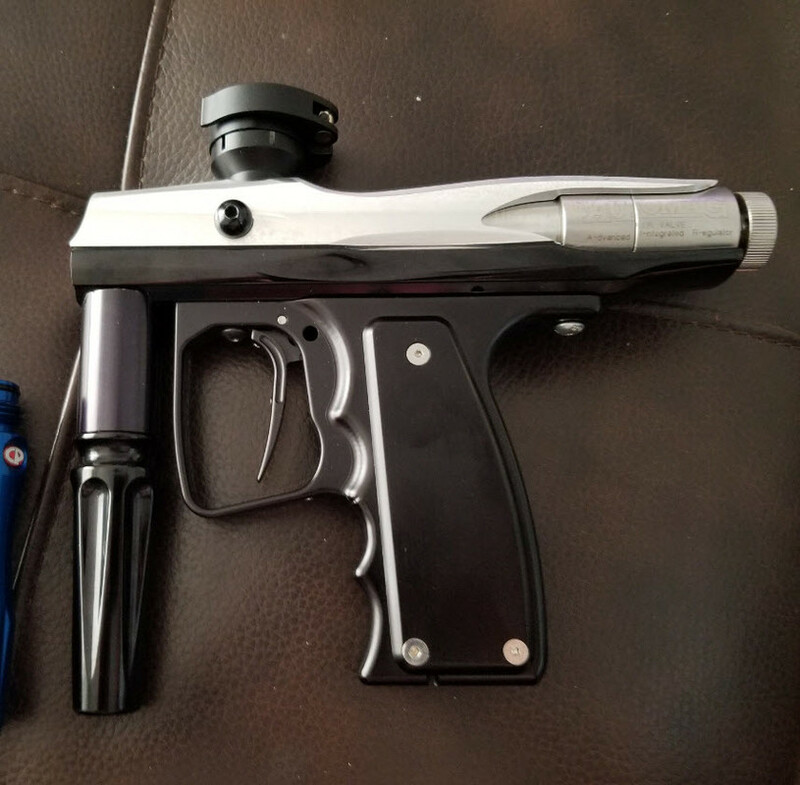 Magnus Sabre Trigger included, Forward & back stop setscrews. Unfortunately I only have a Extremely limited number of these to sell. But they are In Stock Available now. Packaged and Ready to ship. Limit 1 per buyer due to the limited amount available. I want to see these out to as many people as they can be. Post then PM. I will go by post timestamp first. Last edited by cougar20th; 07-27-2018 at 01:20 PM. I will take one, gloss, PMing now. I’ll take a gloss black one. Last edited by Salad Fingers; 07-02-2018 at 11:12 AM. Heh, he's got salad for fingers! All frames that are paid for will ship on Thursday due to the holiday. Just so you guys know the dust is really what I'd call a satin finish (having worked in the paint business a while back) and really is a great finish. I like it better than the gloss. Keith you sold all V1's? Yes all V1s are gone. Updated the first post with tracking info for the frames that are sold. Got mine yesterday, piece of art. Final piece to my latest build. Thanks Keith. Enjoying mine quite a lot! noice!, I can dig it. I told myself no, the V1 is the most beautiful peice of metal Ive ever held in my hands. 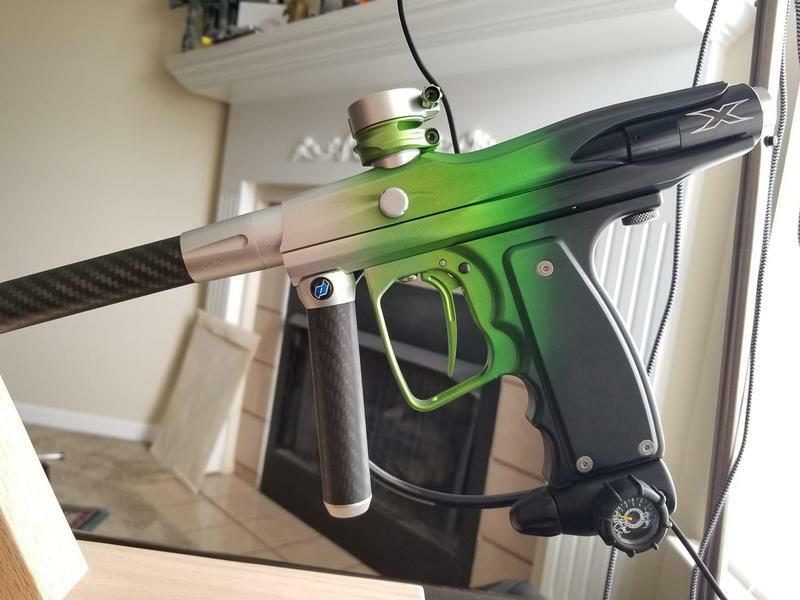 Fits my hand perfectly and is honestly the best money Ive spent in paintball. So like a crack addict after the glass lol you have PM inbound. Love it and much respect. The dust is the way dust is supposed to be(or used to be?) not dulled but smooth. Cant wait to see the new dust finish! Might see some action in a mech event next weekend. I will take the last one. The last frame is still up for grabs to whoever wants it. Last edited by mobsterboy; 10-14-2018 at 02:14 PM. Crap, all of a sudden I have a need for a frame that is setup for a MSV-2, MPA-3, and sleeper LPR... and they are all gone. Making more any time soon or does anyone have one to sell? I still have a single trigger frame M86. Its in my FS thread in the Misc pb items section. Thanks, but I need a double for this project. I don't know the exact timeline yet, but likely next year.